Finally it’s done: Your miniature collection is beautifully decorated, and your tabletop landscapes have become a veritable work of art. 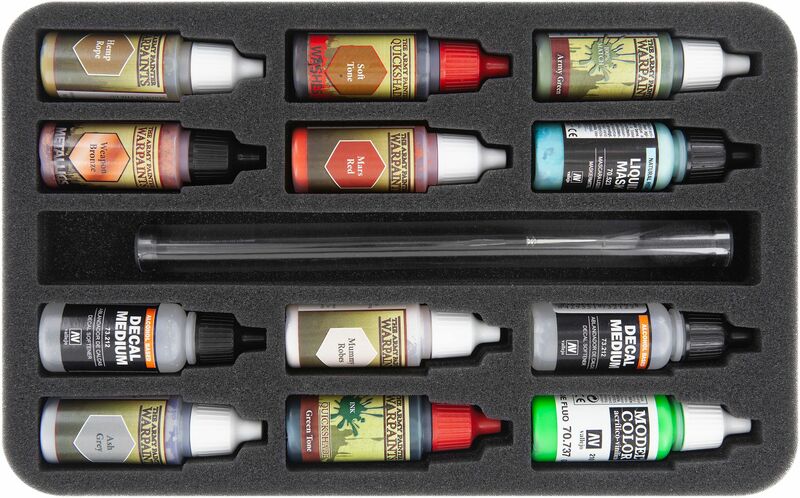 Now, only one question remains: Where to store all your model color bottles, paint brushes, knifes and saws? 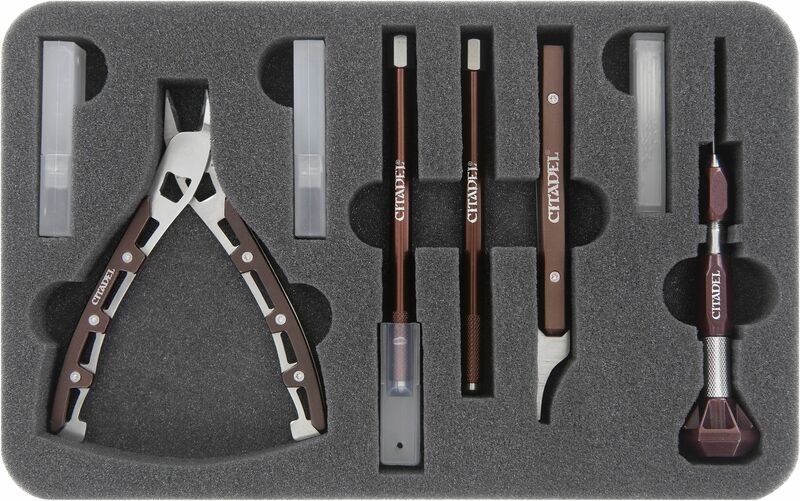 After all, you want to have your modelling utensils ready when you need them for your next project. 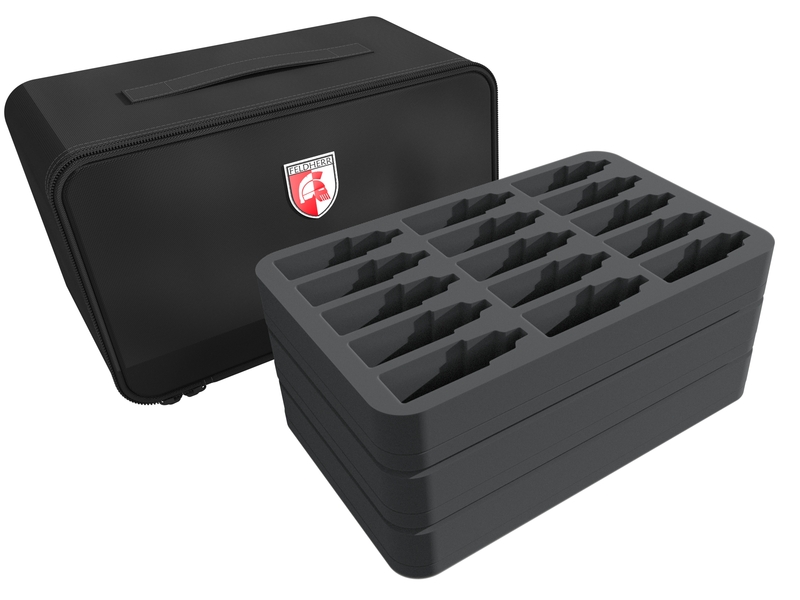 Our practical MINI PLUS bag, jam-packed with matching foam trays, offers you the ultimate solution to all your storage troubles. For your color bottles there are three foam trays. 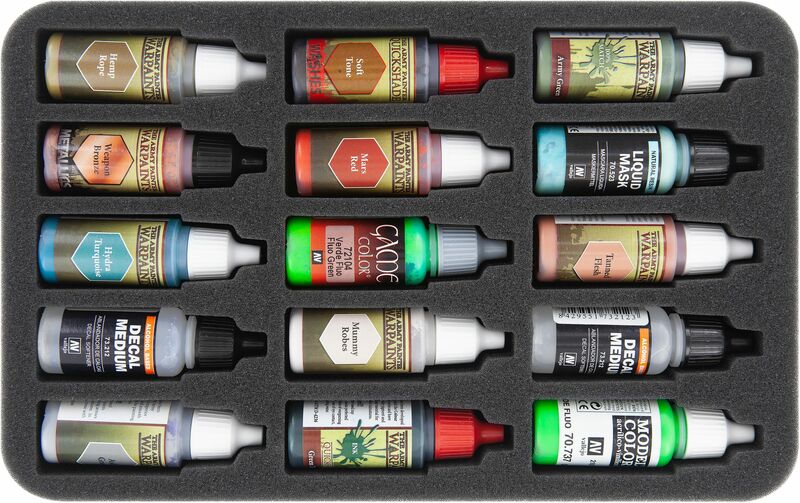 Up to 39 Army Painter or Standard Vallejo bottles can be stored in custom compartments. 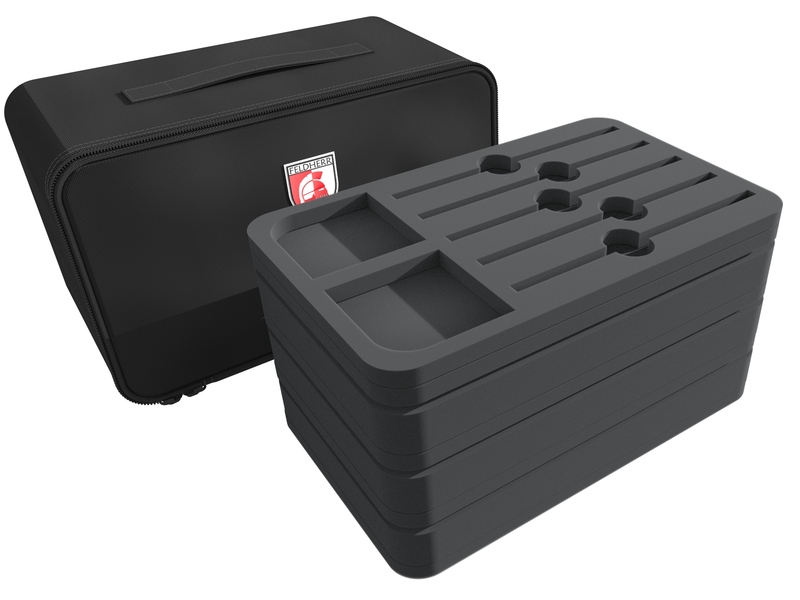 Of course, the compartments will also hold same-sized bottles of other brands. 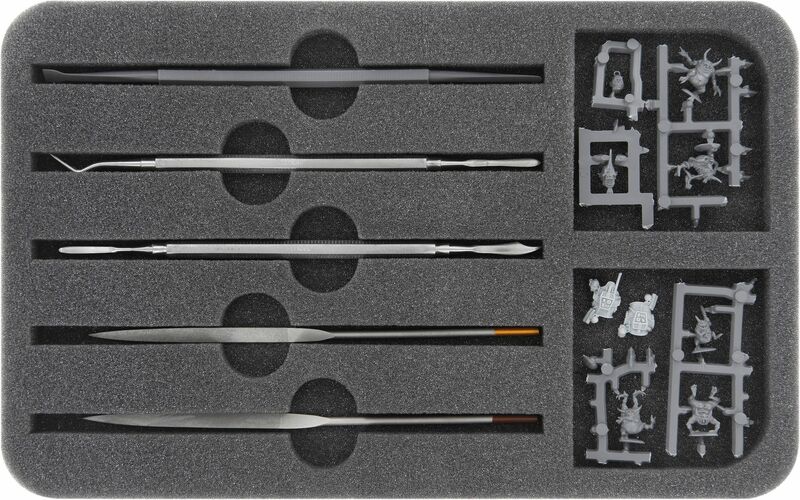 Additionally, there are two lengthy compartments for paintbrushes – e.g. up to eight Windsor & Newton in tubes. 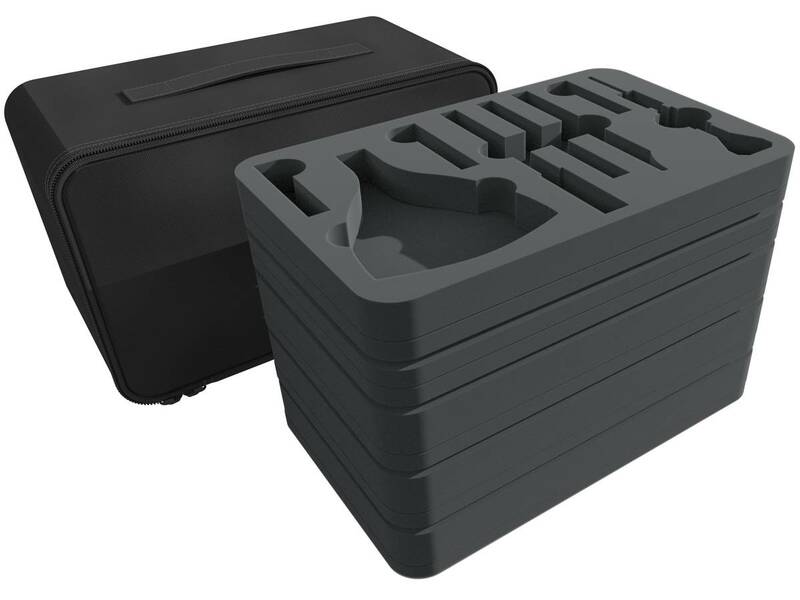 Additional compartments will provide space for small parts such as Green Stuff and for storing the boxes with the spare knife blades, the saw blades and the drill bits. 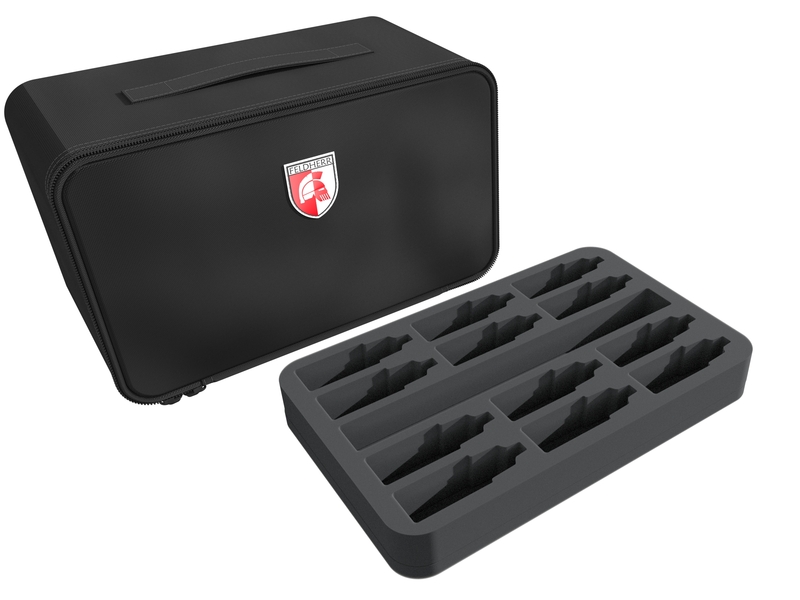 Of course, the stackable foam trays fit exactly into the practical MINI PLUS bag. The bag is made of particularly robust fabric and ensures that the contents are optimally protected from external influences. 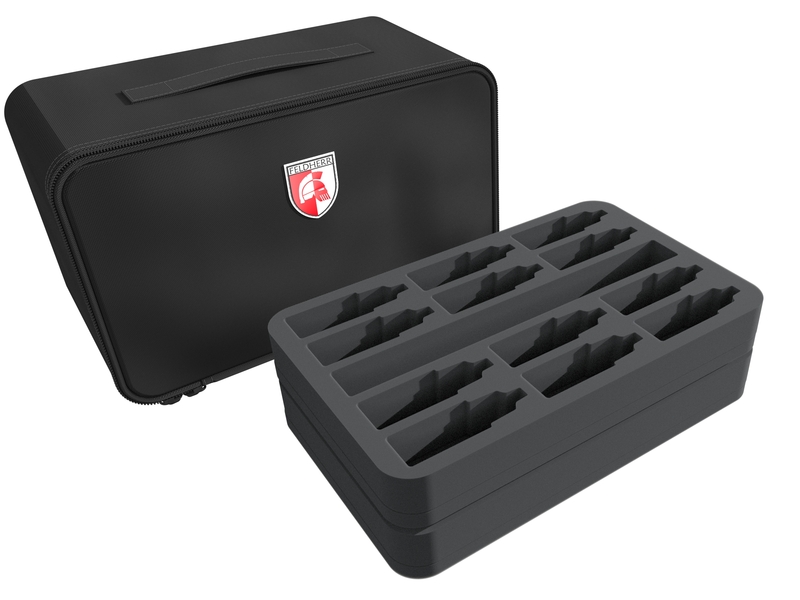 To ensure the best possible all-around protection of your modeling- and painting utensils, the Set includes a matching foam topper. The topper is simply placed on the uppermost foam tray – The contents are thus safe from falling out.